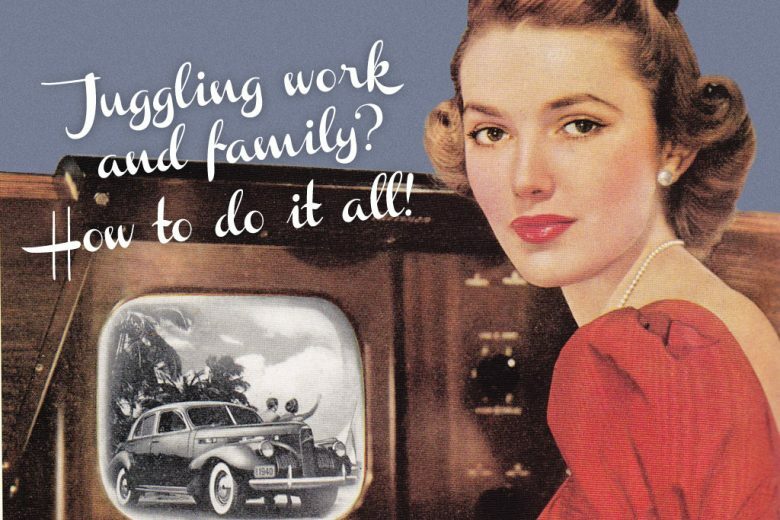 Juggling work and family? How to do it all! When we were young, most of us bought into the dream that we could have it all – a great career, relationship and family. But then we tried to do it and realised it wasn’t that easy after all. But while balancing our family and career isn’t always simple (there’s a reason it’s referred to as juggling!) there are some things you can do to make it easier, and perhaps even find your perfect mix. Virtual PA and super-organiser Bev Loczy reveals her tips for on how to do it all. OK, I’ll be honest, as a busy mum juggling running a business with looking after a family and managing a home, it probably isn’t possible to do it all. But you can stand a good chance of doing a heck of a lot – and doing it well – by following some simple planning rules. And the great this is, you can apply these whether you’re organising your child’s party, giving the house a thorough spring-clean, or setting up a new business. It sounds obvious, but if you’re not really sure what you want to do it’s very hard to plan how to do it. So make sure you’re clear on what your goal is. And make it something you can measure – ‘I am going to increase my business turnover by 50% within the next nine months’ is far easier to plan and measure than a more vague statement such as ‘I’m going to grow my business’. What resources do you need – time, money, tools? What else are you trying to get done at the same time? Can you get support from elsewhere? It will make it seem far less daunting if you break what you need to do down into smaller pieces. For larger projects, try adding realistic deadlines or a timescale. Not only will this help you know whether you’re on track for success (and help you identify early on if things aren’t going to plan and you need to make changes), but it can also be incredibly motivational once you start getting through them. It could be as simple as making a list of tasks, or more detailed specific targets – for example, 100 new Facebook fans by the end of the month. I’m sure I’m not the only one who has had plans shelved because I forgot an important appointment or event. And while you can’t always plan for the unexpected, you can minimise the risk of this happening by keeping a diary or calendar with important dates such as birthdays and anniversaries, appointments, meetings, social engagements and work commitments for all members of the family. When you know what’s coming up, you can plan around it and make sure that nothing gets missed or cancelled. You can also set aside specific time to work, and identify what you are going to do when. This is essential when time is limited and you’re trying to build your own career, freelance work or business, as well as managing your home and everything else! It also helps to maintain the boundary between ‘working’ and ‘family’ time. No-one has an endless reserve of time and energy, so work out what is high priority and what can wait. And learn to accept that you can’t do everything. This is tough if you subscribe to the ‘no-one else can do it as effectively/quickly/thoroughly as I can’ school of thought. But if you try to do it all yourself you’re almost certainly setting yourself up for failure. So ask your family to take on some of your chores, arrange a childcare rota with friends so you all get some child-free time, or think about outsourcing some of the work – for example your bookkeeping or marketing. The idea is to identify what only you truly can do, and learning what you can get rid of. Not only will it keep you saner, make you a happier mum and partner, but you’ll be able to devote more energy and time to the tasks you really need to achieve. It’s definitely not easy being a mum and a career woman, freelancer or business owner, but it can be done. And that myth about having it all? Well, maybe with the right action plan (and a lot of passion, drive and hard work), maybe it’s not such a fantasy after all?